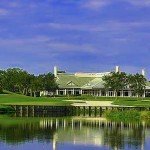 Searching for Sarasota golf communities? You have come to the right place. 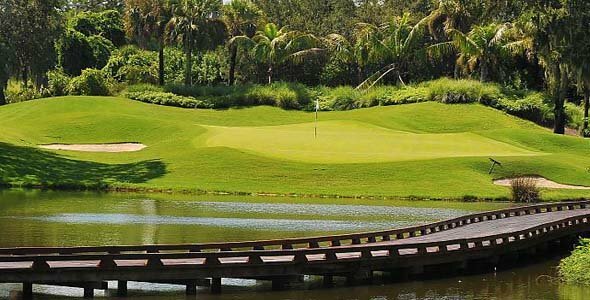 We feature 30 of the best golf communities to be found in the Sarasota, Florida, area. The criteria for this list: The communities must be no more than one hours drive from the center of Sarasota, south of Tampa Bay, and North of Charlotte Harbor. 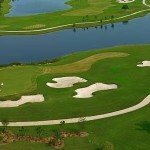 The list on the right is comprised of golf communities in Sarasota, Bradenton, Venice, and golf communities as far south as the city of North Port. Florida certainly is the golf capital of the world and the reason is obvious – the weather. 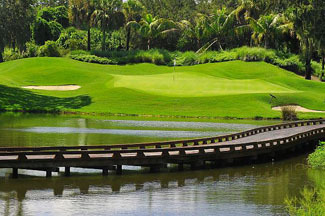 In Sarasota, you can play golf year-round among a tropical setting. With January days reaching daytime temperatures of 72-76 degrees, you can see, winter-time golf in Sarasota just could not get any better. There is a multiplicity of golf communities to choose from with membership rates that span all price ranges. From daily fee-based golf to the over-the-top memberships at the finest clubs, there is something for everyone. 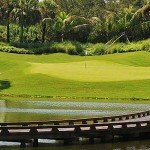 When searching for golf community real estate, you need to focus on finding the perfect club way before you start to look for a residence. Consider this: You find the perfect home but the golf course and country club leaves a lot to be desired. The end result, one unhappy golfer. When you start your search for a golf community, investigate the club, its courses, and the amenities it offers and determine which golf and country clubs are a good fit for you. Then when you have found the clubs you like, begin the search for a home. 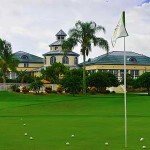 We understand this process and our services to you are not only inclusive of opening doors for you of the homes that are for sale, we take the time to introduce you to the clubs, the membership directors, and get you on the courses so you can experience first hand what the club has to offer. If you communicate with us and tell us your specific needs and requirements, we can often help you narrow down the list for you based on our empirical observation. We have worked with a lot of customers looking for a home in a golf community, spoken with a lot of members… We have a pretty good feeling for the culture in each club and how stable each club is. Our recommendations have nothing to do with selling you a home in that community, our recommendations are based off the desire to ensure you are happy with the club and the community you buy your home in. 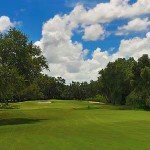 The Laurel Oak Country Club: Has the lowest average membership age of 53. Is also one of the more social clubs with more than 280 scheduled events held each year. It boasts 36 holes of fantastic golf on fairways inter-woven thought the community. The membership director, Faust Werst, is one of the nicest people you will ever meet and he certainly goes out of the way to introduce the facilities to you. Homes here range in price from $350,000 to more than 1 million. Most homes were built in the early 90s. 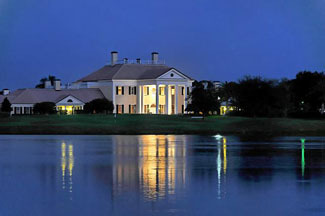 The Oaks Club: Another fine establishment featuring 36 holes of golf. The club boasts one of the best locations. 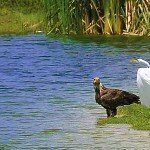 You will find The Oaks Club just south of Sarasota in the city of Osprey. If you are looking for a stately mansion along the shores of little Sarasota Bay and the Intracostal Waterway, you will find it here. All price points above $200,000 are represented here, the most opulent of residences can easily top $5 million. 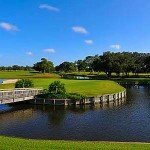 University Park Country Club: This community is perfect for the traveler as it is a mere 5 minutes from the Sarasota International Airport. University Park has also won an award for best community design in America by the National Association of Home Builders and has received another 75+ accolades for community design and amenities offered by the club. The ultimate course to play on is located at The Concession. This Jack Niclaus designed course is where the pros practice. A special treat, the driving range uses Titlest Pro V1 balls so you can get a true perspective of how far your new driver will send a quality ball. 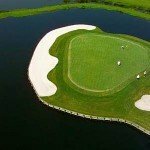 Regardless of your budget or price point, we are confident we can find a golf community that will be a perfect fit for you among the many communities that dot the Sarasota and Manatee County landscape.